Jesse James wants the world to know who he really is. I thought we did. Isn’t he a scandalous cheater and possible Nazi fan? 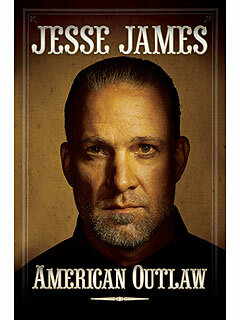 Well, Jesse has put it all out there in a book, Jesse James: American Outlaw. I don’t know. Will you buy this? Would you read it? I am pretty sure I’ve seen enough. In case you do want it, you can pre-order it at Barnes and Noble. It comes out on May 3rd.